Thanks to http://www.lovereading.co.uk/ for the review copy of this book. This historical novel tells two different stories. Roberta, who works in The Old and New BookShop, loves finding treasures in second hand books. Old photos, letters and cards are regular finds and she keeps each one for her own collection. When she is given an old suitcase belonging to her grandmother, she discovers a letter signed by her grandfather, but it doesn't seem to make sense. It is dated after his supposed death in WW2. Here begins a journey of discovery for Roberta and she may be surprised with the results. Dorothy is stuck in an unhappy marriage and struggling to make ends meet while her husband is off fighting in the war. A chance encounter with a Polish pilot sees the start of a longing within herself and she begins to see the future as something to look forward to, rather than dread. Her recent past has been difficult and full of heartbreak, so dare she hope for some happiness? With two strong leads and a wonderful array of supporting characters, this novel glides seamlessly back and forth between eras and intertwines the two stories very cleverly. Dorothy is a protagonist of substance, full of depth and has an amazing story to tell. Roberta, on the other hand, is more vague, insecure and without the link to her grandmother would not have been a character I would see as holding her own in a book of this caliber. The writing is flawless. Each chapter glides along and interlinks nicely with the next. The story is consistent and the content exact. Not too many characters are introduced, and the ones that we do encounter are relevant to the situations. I thought the introduction of Mrs Compton in Dorothy's tale was a very clever move by the author and well thought out. 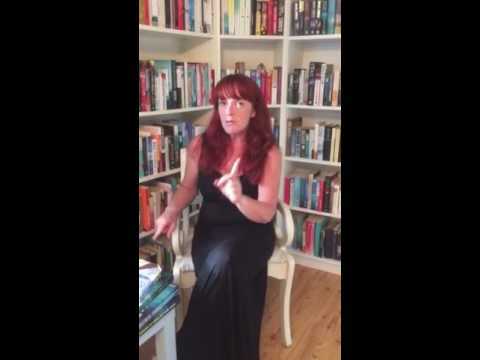 I can see this book being a great addition to Book Club reading lists and would foresee it hitting the bestseller lists very soon after it's release. The only problem I have with this book, is that I didn't write it myself! 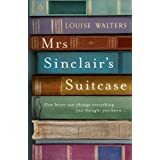 Mrs Sinclair's Suitcase is published by Hodder&Stoughton and is available from http://www.lovereading.co.uk/ and other bookshops from 27th Feb 2014.